McDonald's is not out of the woods yet. The fast food giant reported a 10% drop in quarterly sales and earnings per share on Thursday. And while that was good enough to beat Wall Street's meager expectations, McDonald's CEO Steve Easterbrook called the results "disappointing." McDonald's has been struggling, and the troubles led to the ouster of former CEO Don Thompson in January. Since taking over, Easterbrook has stressed that McDonald's must make big changes to convince people that they should eat at the Golden Arches. Easterbrook unveiled the company's turnaround plan in May. That announcement had a lot of marketing gobbledygook phrases like "modern progressive burger company." But it left many analysts wondering: Where's the beef? That was a famous old slogan from rival Wendy's (WEN). Wall Street -- and customers -- wanted more details about how the company planned to spruce up the menu. Easterbrook said in a statement Thursday that the company is "seeing early signs of momentum" and predicted a sales rebound in the third quarter. Thursday's results showed a decline in same-store sales of 0.7% worldwide and 2% in the United States. But for McDonald's to get back on track, it all comes down to the food. And it seems that customers, especially Americans, are still not happy. The company noted that a main reason for the tepid results was because "featured products and promotions did not achieve expected consumer response amid ongoing competitive activity." Translation: The food stinks and consumers are going elsewhere. Younger consumers are increasingly flocking to fast casual chains like Shake Shack (SHAK), Panera (PNRA) and Chipotle (CMG). McDonald's was ironically once a big investor in Chipotle. And McDonald's faces stiff competition from Yum! Brands (YUM) (which owns KFC, Pizza Hut and Taco Bell) and Burger King owner Restaurant Brands (QSR). During a conference call with analysts, Easterbrook did give some details on how McDonald's was hoping to win customers back with better food. He said that many restaurants have implemented new cooking methods, such as toasting the hamburger buns longer and changing how meat is seared and heated up. The hope, Easterbrook said, is "hotter, juicier sandwiches." But Easterbrook was not promising any miracles overnight. "There is no silver bullet. No one move will turn a business. There's been a decline for nearly three years," he said. 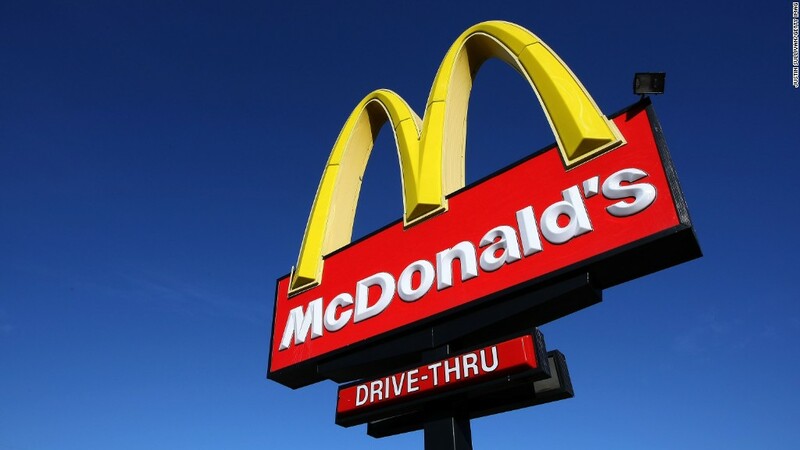 Easterbrook added that McDonald's is focusing more on revitalizing the core menu. New product launches will happen, but they're not going to be the main priority. 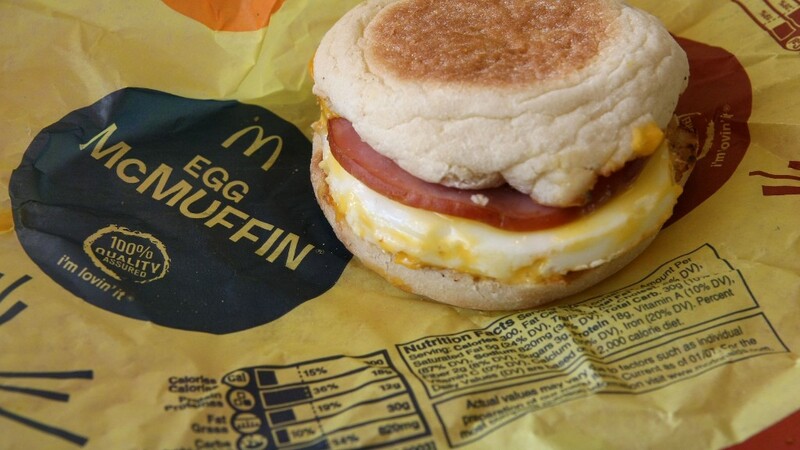 McDonald's is also reportedly set to soon make its all-day breakfast experiment permanent. Taco Bell, Dunkin' Donuts (DNKN) and Starbucks (SBUX) are all engaged in a breakfast food war. But Easterbrook said the company is still trying to figure out if all-day breakfast will make economic sense and help simplify the company's menu. McDonald's has another big challenge beyond the food. Wages are going up -- and that could hurt profits. In April, the company announced plans to give 90,000 workers a raise. That applies on to employees at company-owned restaurants and not those owned by franchisees. But there is growing momentum for minimum wage hikes across the country. New York governor Andrew Cuomo wants to boost the minimum wage for fast food workers to $15 an hour, for example. During the call, CFO Kevin Ozan said that labor costs did go up in the second quarter because of higher minimum wages in some states. Ozan also noted that the company's decision to boost pay for workers at its company-owned stores should hit profit margins in the second half of the year. But he added that the higher wages should not put "undue pressure or anything that's going to harm our business ... as long as the playing field is level across industries." Still, Easterbrook conceded that franchisees are not happy about the prospect of wage hikes. "Understandably, they're concerned," he said. So McDonald's has a long way to go before it convinces diners and investors that the new strategy will work. Shares of McDonald's fell about 0.5% Thursday. The stock is up 3% this year but it has lagged the broader market and nearly all of its competitors by a wide margin for the past few years.